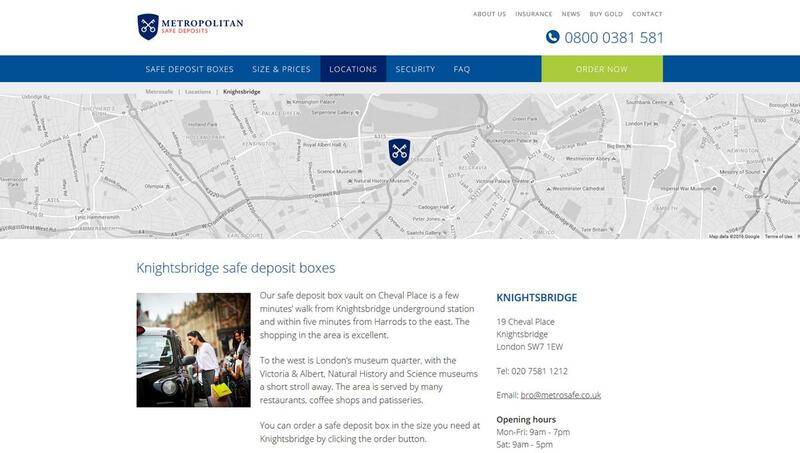 Metropolitan Safe Depost Boxes is London's leading provider of safe deposit services with vaults in Knightsbridge and St John's Wood. 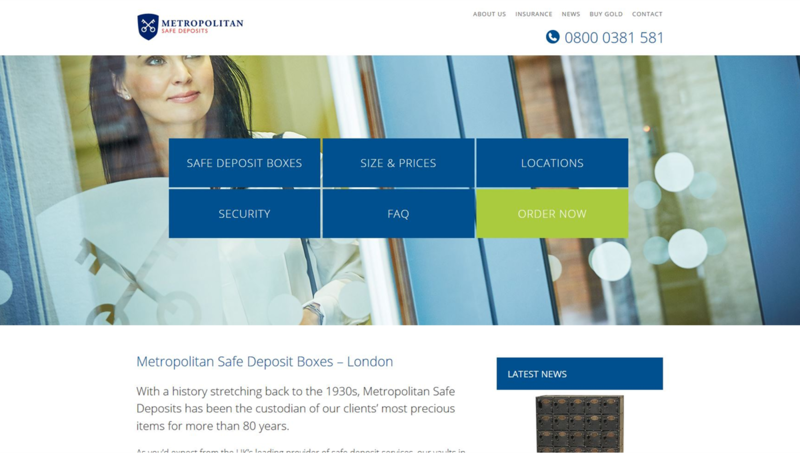 The Dog House Solution Ltd was approached to update the Metrosafe website including the ability to place orders for safe deposit boxes and provide their customers' with up-to-date information about the company and offices. We brought together a team of skilled professionals and worked closely with Two Shed Design who were commissioned to create the site design and arrange all the required photoshoots, and Voco Veritas who are specialist in SEO and Adwords management. 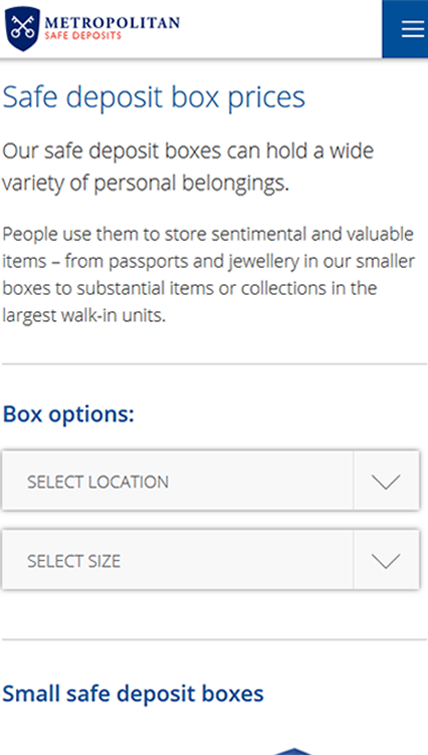 The results were a grealty simplified website, with high levels of on-site SEO and an increase in website traffic and online orders. The Dog House Solution Ltd provided a bespoke CMS system and a fully responsive website, which is both stylish and easy to use.